4 Who will register in Indiana? Indiana became the second state to put a law regulating fantasy sports on the books when Gov. Mike Pence signed legislation today. The state joins Virginia, which passed a law overseeing the paid-entry fantasy sports earlier this month. The news was first reported by the Indy Star. The bill shows as being signed on the governor’s website. Pence waited until the deadline on the bill — S 339 — before signing it. The daily fantasy sports bill landed on his desk on March 17, and he took the full seven days allotted to him before signing it. Had he not signed it, the bill also would have become law simply by his inaction. His only other option would have been to veto the bill, which was not a likely scenario given the overwhelming majorities by which it passed both chambers of the legislature. Unlike some other states, Indiana’s governor does not have the power to line-item veto legislation. The bill was sent to Pence’s desk earlier this month after passing a vote in the House. The bill has a $50,000 licensing fee for operators, with a $5,000 renewal. That fee could be increased to $75,000 in the future. Oversight of the industry is handled by the state gaming commission. Fantasy sports are designated as a game of skill. Operators may not offer contests based on amateur contests — that includes college football and basketball. The law sets a minimum age of 18 years to play and requires operators to verify players’ ages. The law creates consumer protections such as preventing employees of DFS operators and their close relatives from playing in contests; requiring sites to allow players to restrict themselves from playing; requiring sites to segregate players’ funds from operational funds. The law says that sites must undergo an annual third-party audit. The law officially takes effect on July 1. The law calls for the establishment of the “Paid Fantasy Sports Division” of the Indiana Gaming Commission, which does not yet exist. In addition to being formed, the division must also promulgate rules for administering the law. 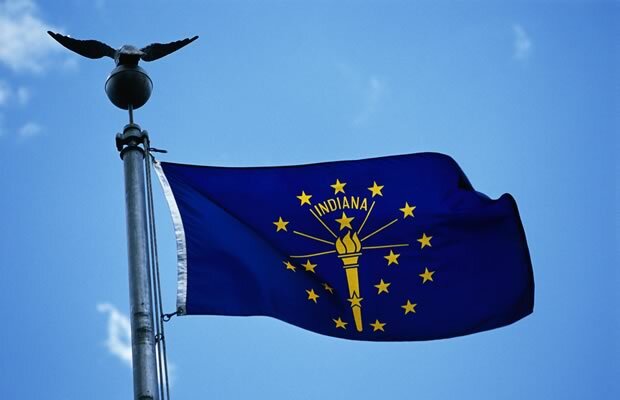 All of this will take some time, so it would appear it will be months until the first applications are filed by operators in Indiana, and even longer until the first registrations are approved. Who will register in Indiana? A similar reaction from operators is expected in Indiana as was witnessed in Virginia. DraftKings (see statement below) and FanDuel will certainly register in the state. Beyond that, it’s a waiting and a guessing game to see who will or won’t apply for licenses in either state. Some smaller operators earlier indicated they would not be registering in Virginia because of the $50,000 licensing fee. The Fantasy Sports Trade Association earlier indicated that it was “deeply concerned” about Virginia’s registration fee, which is basically the same as the fee included in the law enacted in Indiana. Yahoo, given its size and No. 3 position in the DFS market, is a possibility for a license. What other operators might apply is unknown, currently. The law, in its synopsis, refers to “daily fantasy sports.” But as written, it appears to apply to any contest in which an entry fee is paid to a third party. ← Previous Story Is Daily Fantasy Sports Headed Toward A State-Regulated DraftKings-FanDuel Duopoly?